Over the last few season's a number of local climbers have been working on 2 new crags in the sicamous area. Most of the routes are Sport climbs ranging from 5.11 to 5.13- . There are a few easier climbs but general in that range. Now there is a Guidebook in the process. I do some freelance writing for the Salmon Arm Observer. 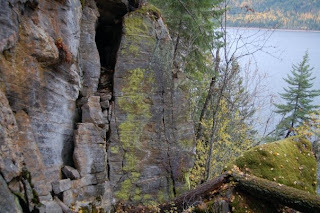 We were hoping to do a feature on you & your blog and climbing around the Shuswap. Can you get in touch with me? If we could do it sometime this week it would be great.